The organisation, which aims to establish an open standard for transport ticketing to rival Mifare, has made available the first version of its Cipurse specification. The Open Standard for Public Transport (OSPT) Alliance has published version 1.0 of its Cipurse specification, for reading and evaluation. Cipurse is a standard for secure transit fare collection that is designed to enable technology suppliers to develop and deliver innovative, more secure and interoperable fare collection solutions for cards, stickers, fobs, mobile phones and other consumer devices as well as infrastructure components. The Alliance says that, unlike systems based on proprietary technologies that are less flexible, are potentially less secure, and that cost more to acquire, deploy and maintain, products that conform to the Cipurse standard will include advanced security technologies, will help ensure compatibility with legacy systems, and will be available in a broad variety of form factors. “Our objective is to be independent, with Cipurse the secure engine underlying any app for mass transit, from single tickets to memory cards, to full micro controllers, to NFC-enabled phones,” Cremer continues. Cipurse defines an authentication scheme, a secure messaging protocol, four minimum mandatory file types and a minimum mandatory command set to access these file types. It also specifies encryption keys and access conditions. Cipurse builds upon existing open standards, including the ISO 7816 smart card standard, as well as the 128-bit advanced encryption standard (AES-128) and the ISO/IEC 14443-4 protocol layer, to provide a platform for securing both new and legacy transit fare collection applications. 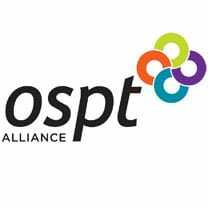 The OSPT Alliance has also extended an invitation to all stakeholders in the public transit ecosystem to join the organisation, and is offering three levels of participation with varying benefit packages. The OSTP Alliance was formed in December 2010 by four founding partners: Giesecke & Devrient, Infineon Technologies (which created the initial version of Cipurse), Inside Secure and Oberthur Technologies. Those wishing to read the Cipurse specification can download a copy at the OSPT Alliance web site after registering as an evaluator.